For most entrepreneurs, accounting is rarely the exciting part about running a business. That said, strong accounting is critical for the success of every small business. Knowing that, it’s no surprise that 80% of small business owners balance their books and manage customer data within accounting software like QuickBooks. And while a business can’t function long-term without great bookkeeping, it should be said that customer relationships are the true core of your business. As much as it would be great if QuickBooks could help manage those relationships, it isn’t an actual customer relationship management (CRM) platform. At some point, every business owner will begin to feel the growing pains of manually managing an ever-expanding customer list. Wondering if your business would benefit from a dedicated CRM platform? Here are 6 tell-tale signs it’s time to make the change. When was the last time you were sorting through customer lists in QuickBooks, wishing there was an easier way to organize and categorize your leads based on priority levels? Sure, QuickBooks allows you to create leads in their Lead Center, but the line between potential and existing customers is blurred, and even once leads are set up, you still need to add them to customer lists to send estimates. And what happens if that sale doesn’t go through? Your customer center is clogged up with inactive leads. What. A. Headache. Creating and managing notes on every active customer is time consuming. Even with the most detailed notes (and the occasional text message), your sales reps still have to manually keep track of those details and follow-up with customers. Let’s be honest; your sales team is busy enough as it is. Without scheduled reminders, it’s hard to expect them to remember to call each customer or send estimates. That’s where sales are lost, along with the hours you spent adding those notes about your active customers. There’s no denying that QuickBooks is a powerful tool for every small business, especially when it comes to creating financial reports. But, as robust as it is, it definitely has limitations. Even with functions such as creating sales reports in QuickBooks, your sales reps will have difficulty turning on and using features like classes or locations, let alone custom data entries like inventory numbers or revenue projections. Generating those reports on a daily or weekly basis is a tedious process for your sales reps, and it takes valuable time away from actually selling. Luckily though, that process can be simplified with a QuickBooks-integrated CRM. You’re using QuickBooks because you understand the importance of thorough accounting. Your approach to customer data and information should be no different. Bouncing back and forth between the data in your Excel spreadsheets, tasks and appointments in QuickBooks, and calendar reminders from your Outlook can technically get the job done, but as you know (and as we’ve mentioned), it’s limiting. 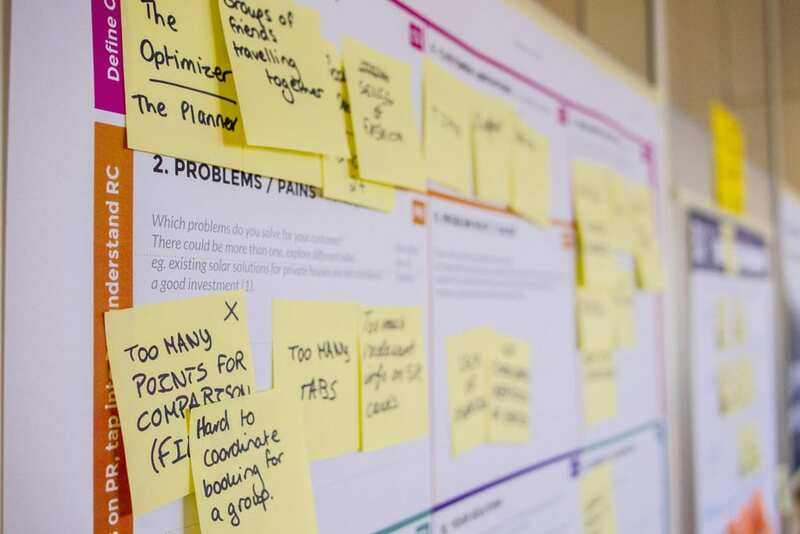 We often turn to trusty old Post-Its to keep track of everything, which lacks the security and reliability you need when building customer relationships. Each member of your sales team was hired for a reason. You believe in them, their commitment, and their ability as a sales rep. Their focus is on selling not just your products and services, but selling your company. That trust is the key to a long-term relationship, but does your sales team really need access to QuickBooks to build those relationships? If your sales reps are only using QuickBooks as a modern Rolodex with customer customer info or follow-up tasks, you can make their life easier (and make better use of their time) by introducing a CRM. Not only will it organize and track the essentials like contact info and follow-ups, your team can also add custom data points relevant to specific customers and their business, to nurture and develop that professional relationship. Trust us, you’re not alone on this one. We’ve all hit a point where we throw our hands up in the air, frustrated with our current setup, looking for a better solution. And when we hit that point, we all turn to the same trusted resource: Google. If you’ve found yourself wondering if QuickBooks is in fact a CRM, here’s the answer: no. No it isn’t. But the real goal of that search is validation. Validation that yes, while QuickBooks can perform some basic CRM features, it isn’t a CRM platform. Introducing a dedicated CRM platform to your business allows your team to more effectively manage customer information, and more effectively manage their time. The more time your sales reps can spend helping customers, and the less time they spend digging through spreadsheets and email chains, the better they can sell and boost your bottom line.